I hear it all the time…We could focus on the stuff that REALLY matters if it wasn’t for all the small, menial, (and yes sometimes bureaucratic) tasks that sometime seem to dominate our time. The more time I spend in schools and with my own growing children, the more I believe that kids feel the exact same way adults do about the importance of our time. Specifically, they not only want to do work that matters, but they also have the need to know why they are doing the work. The more I look around, the more examples of this I see. My oldest son Jake is in Grade 11. He’s a good kid, does well in school, but nothing in school has ever really interested or motivated him. But recently, I’ve noticed a change – a good change. He has combined his passions of soccer and technology and has started to write a blog about one of his favourite teams; the Vancouver Whitecaps. His blog isn’t something that he just throws together, but rather something he devotes a great deal of time and care to. In fact, for the first time I can recall, he spends the time to make his blog “just right” instead of “just good enough”. He contributes to other blogs and has bloggers write for his. 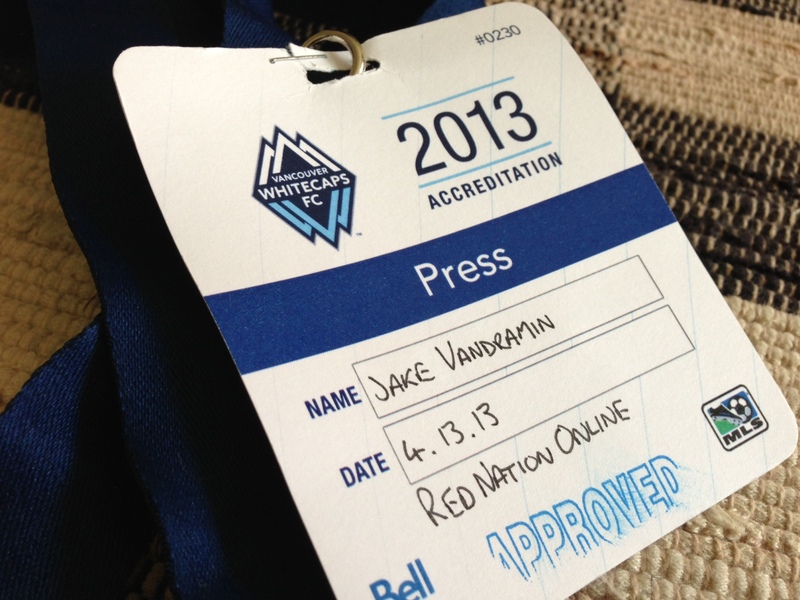 I was most impressed when, before our last Whitecaps game, Jake told me that he didn’t need his ticket because he had been given press credentials and would spend the game watching the game from the press box with the media. A few days later, he met with the editor of a local newspaper to discuss the possibility of doing an internship. Yes…Jake working for free in order to learn! To him, this is work that really matters! Another great example of students embracing work that matters is the recent 30-Hour Famine that took place at Georges Vanier Elementary. I’ve always loved working with our senior students, but being a few months away from moving on to high school, some can have the attitude that they no longer need to buy into any school events. Teachers at the school promoted ownership by introducing the idea of doing a 30-Hour Famine and allowing students to discuss charities they were interested in supporting. Together, students and teachers agreed on dividing the money three ways between Kiva, BCSPCA, and the Make-A-Wish Foundation. There was something about helping people, children, and animals in need that struck a chord with the 54 students who decided to participate. When the event had concluded, over $3900 was raised. Who said you can’t get Grade 7 students to care? Finally, many teachers at Georges Vanier Elementary have introduced their students to Genius Hour, a time weekly when students not only get to learn what they want, they get to decide how they will share their learning with others. How do I know this approach is making a difference? It is obvious when you walk into a class during Genius Hour that students genuinely care about what they are learning because the learning is meaningful to them. Initially, some students find it difficult to come up with topics because they’ve rarely been asked what interests them or what they would like to learn more about. With time, the process becomes natural and topic selection easier. Do we give students enough opportunity to consistently do work that really matters to them? Probably not, but the work I see currently being done throughout Georges Vanier and many other schools gives me hope that the shift towards passion-based, student-centered learning, has not only started, but is beginning to grow. After all, we all deserve and yearn to do work that is personally fulfilling and meaningful! I’d love to hear about strategies and projects you implement to make learning meaningful for your students!